The SW1 was one of Mamod's first range of models to be modified with the water level window (in this case discretely hidden at the back of the boiler) and fired with solid fuel tablets. It is often advertised as a Foden style wagon. 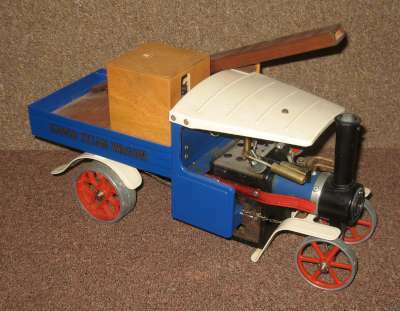 It was a development of the earlier traction engine and road roller models, TE1A and SR1A. In fact, many of the same parts were used in its design. 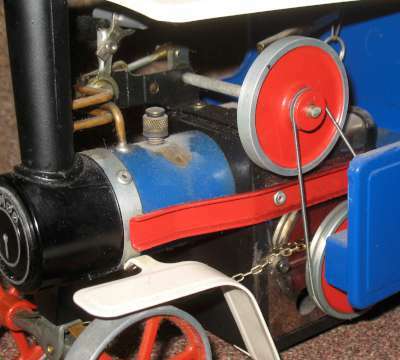 The firebox and scuttle are the same on all three, the smokebox, chimney and front wheels were the same as used in the traction engine and the boiler was the same as that used in the roller. This was slightly shorter on the outside but the same size internally as the traction engine! 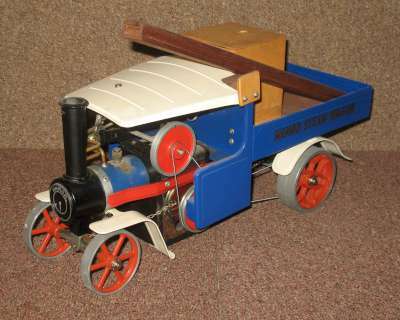 This apparently Tardis-like behaviour was possible because the traction engine boiler had a blank space at the front in order to give the model a reasonable wheelbase. The internal dimensions of the boiler are identical at 115mm length by 42mm diameter. The bodywork hinges up and the "scuttle" or bunker lifts away revealing the burner and water level window. 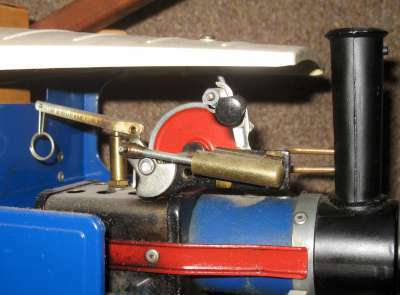 The single acting oscillating cylinder, fitted with a reversing lever, is also the same at 8mm dia x 20mm stroke. 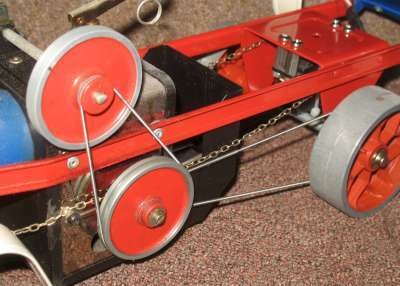 The rear end is carried on a channel frame and the rear axle (strictly speaking only the near side wheel) is driven through a two stage reduction belt drive. 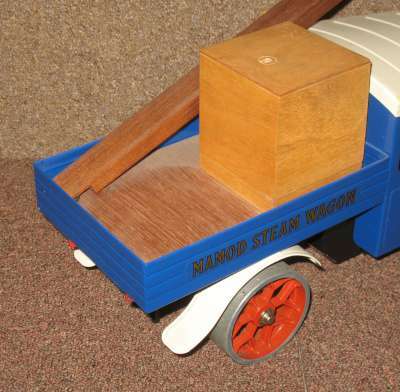 The payload container part of the rear end is remarkably similar to the trailer supplied for use with the traction engine. 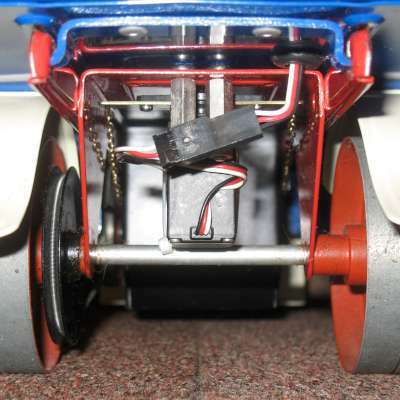 The overall dimensions of the whole vehicle are approx 405mm length, 140mm width x 185mm height. 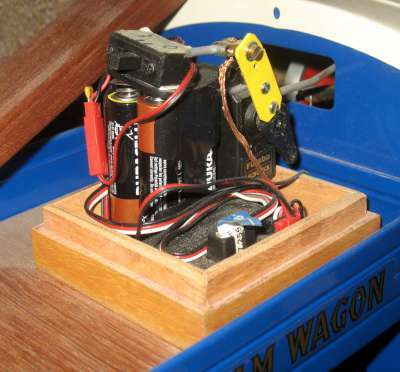 The dummy load on mine (carrying the RC gear) increases the height to 250mm to the top end of the aerial.